January 8, 2014~ A new year begins and the writing continues. I’m on chapter 11 and it’s been wearisome. Right now I’m listening to an audio interview. This includes listening, writing and going back to listen again. I do this process over and over again. Checking and double-checking information makes the writing process slow. It’s much like the first seven chapters when the research into medical terms and references to interviews sometimes feels as slow as a turtle crossing a country road. I’m not sure the writing will get any easier. August 7, 2013~ Writing has been difficult and haunting. Memories are vivid and writing about information I’ve acquired from three years of research and interviews is challenging. When to walk away and take a break is important. Sometimes it’s days and sometimes weeks. I’ve come to terms with allowing the sequel to be finished when it’s finished. Dates, names, places and details must be accurate and information in chronological order. Details are disturbing and painful. Though Kathy’s murder was over forty years ago the reality of it still takes my breath away. I miss her. For all of you waiting for A Child Is Missing-Searching for Justice, thank you for your patience and support. January 10 2013~ As the New Year rang in I couldn’t help think about the tragedy at Sandy Hook Elementary School in Connecticut. This will be an incomprehensible year for so many. The ripples of this destruction reach out and touch a multitude, even those that are not related. The children who were murdered will remain five and six years old forever in the minds of their parents and family. Other children will grow up without a parent and all parents will grow old without their children. Siblings will experience a life without their sister or brother, never knowing the pleasure of their company again. Similarities to events in the past can trigger emotions to those that thought they were at bay. And the list goes on. It’s remarkable how much agony a heart can bear. The endeavor to write the sequel to A Child Is Missing has brought me to places I was not anticipating. It has opened up unexpected avenues. Almost two years has gone into research and interviews for A Child Is Missing-Searching for Justice. I am reviewing the first book. Strangely, reading it as a book is different from writing it. I have finished my timeline, my outline, and the organization and filing of newspaper articles. There is a pile of research in front of me and I am ready to write. I would appreciate your prayers. To begin the process again is a little terrifying. Trust in the Lord – He’ll make everything right one day. Thank you Dalyn. Thankful for Him….. 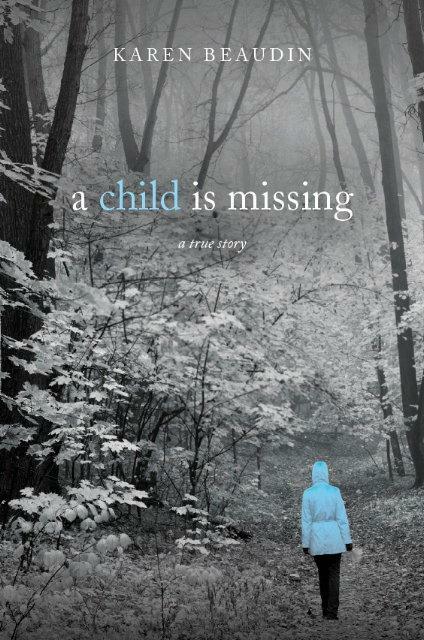 Looking forward to reading the sequel to A Child Is Missing. Is the sequel to this book released yet? Please let me know when the sequel is released. You can order a signed copy from me on this website. Click on A Child is Missing: searching for justice. The book release date to the public is May 30th. Unsigned copies will be available at Tate Publishing, Amazon, and where books are sold at that time.